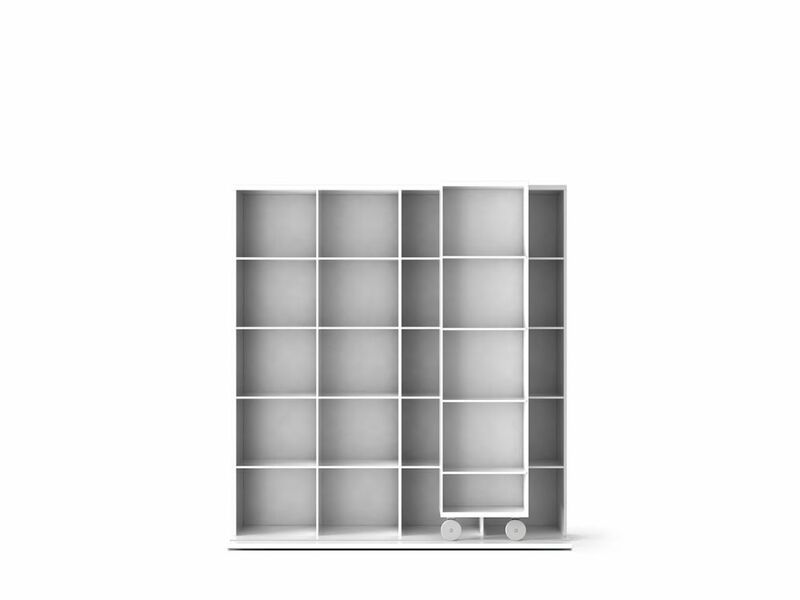 Collection of bookshelves, inspired by the mythical "Literature" designed in 1985 and winner of awards and distinctions as the ADI FAD selection of 1986. Exhibited in Museums and with an indisputable contribution to the obtaining by punt of the National Prize of Design in 1997. Its unmistakable car on wheels has served for decades to store countless books, welcome the era of the CD and decorate the most beautiful pieces of decoration. In this version of 2012 the lines become lighter, definitively confusing the original use with the piece of decoration in which it has become. The shelving compositions should be fixed to the wall to achieve optimum stability. Fixed shelves. Base with adjustable feet. Furniture designer, having won numerous international awards and acknowledgements. Author of the Spanish furniture design icon “La Literatura”, a double shelf unit on wheels, now exhibited at museums and catalogued as a classic in 20th-century design. Professor and regular conference speaker. In 1980 he founded the company puntmobles, which won the National Design Award in 1997. Punt means “point”, the point where pen meets paper, the point that will become a line; a design; a creation.